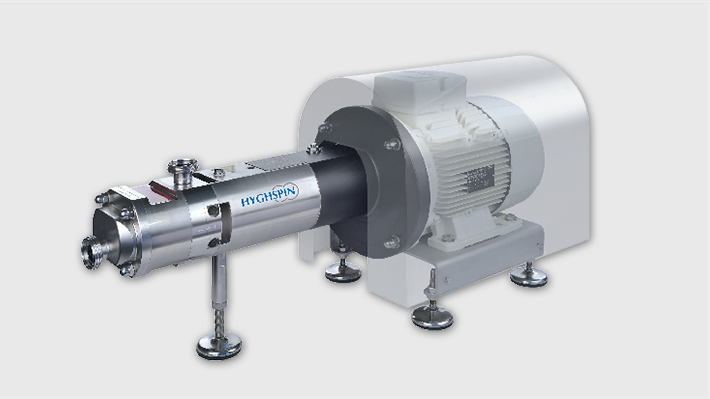 HYGHSPIN Twin Screw Pumps - EFPS - European Food Processing Systems Ltd.
A twin screw pump from the HYGHSPIN series is the perfect solution for many applications. Innovative design and construction, hygienic design, high efficiency, optimal MTTR ratio and much more make HYGHSPIN the perfect solution. 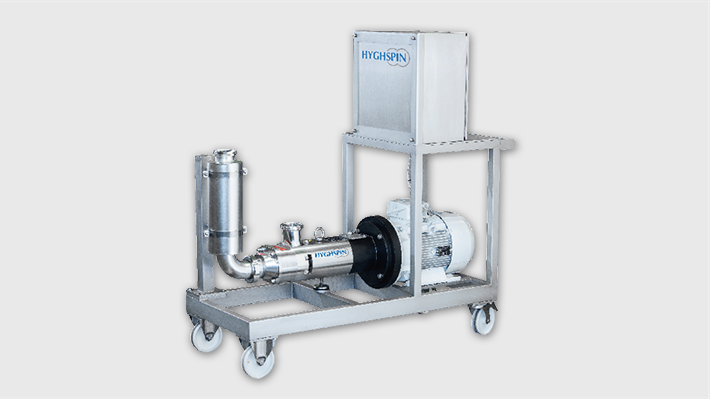 The HYGHSPIN pump series from Jung Process Systems made of high quality stainless steel have proven themselves worldwide and they can be utilised for almost all flow capable products with every viscosity and consistency – irrespective of whether aqueous, highly viscous, lumpy, fibrous or gas loaded. The twin screw pumps are particularly service-friendly, maintenance-free and have a space-saving design. They impress with their outstanding flexibility as well as gentle transport handling, particularly low pulsation and high suction. Due to the unique design principle, no additional pump for CIP cleaning is necessary, which contributes to considerable time and cost savings. 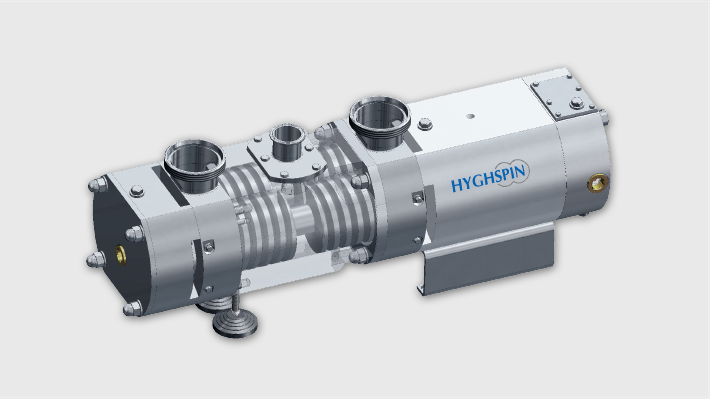 All pumps from the HYGHSPIN series therefore provide high availability with minimal downtimes for maintenance works (optimal MTTR ratio). 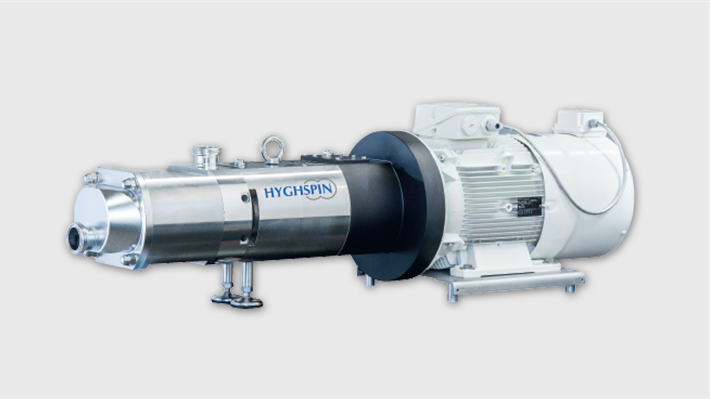 Learn more about our twin screw pumps from the HYGHSPIN series. Internationally certified according to EHEDG, 3-A (USA) and Atex. 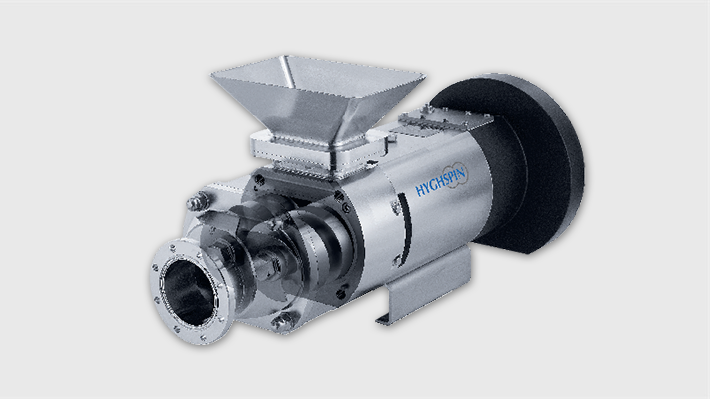 Compact Jung twin screw pump for conveying flow capable products. Jung twin screw pump for high volume flows or large lumpy pieces. Jung twin screw pump for conveying non-flow capable products. Double flow Jung twin screw pump for high differential pressures. Complete solutions with Jung twin screw pumps.